What's the most you've ever spent on a fancy dinner for two? Maybe if you're (un? )-lucky, you've dropped something in the three-figure neighborhood on a single meal. Well, a restaurant in Singapore called Ce' La Vi has prepared a "dining experience" that will cost one couple a sturdy $2 million to enjoy. Of course, calling this $2 million luxury dining extravaganza a "meal" is kind of an understatement. The dining experience, which is being co-hosted by Russian-based World Of Diamonds Group, takes place over eight hours. 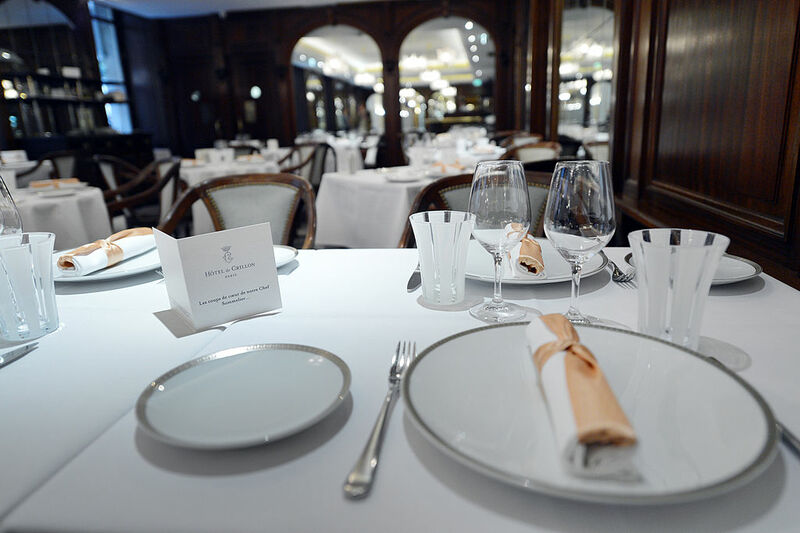 During the meal, diners will enjoy a robust 18 courses, including Belon oysters and Almas Caviar as well as two types of vintage wine. Even if you're not a food expert, you're probably thinking that even the finest wines, oysters, and caviar in the world wouldn't rack up anything close to a $2 million asking price, and you'd be right – the dinner also includes a helicopter ride to and from the restaurant, 10,000 fresh roses, two pairs of custom-engraved diamond chopsticks (that the diners get to take home with them), and Jane Seymour. No, they don't get to take home the star of Dr. Quinn, Medicine Woman, but instead a a 2.08-carat blue diamond that was recently named after the actress during her official endorsement at Ce' La Vi earlier this year. The diamond is set in a ring and is reportedly worth more than $2 million all on its own, which proves that when you're rich you can even turn a profit on the most expensive dinner of all time. As for when you'll be able to enjoy this experience, I'm afraid that even if you've got $2 million to drop on dinner it still might not be guaranteed. Ce' La Vi management and the people at World of Diamonds (which is co-sponsoring the event) are reportedly in the process of selecting from a list of applicants interested in what may well be the most expensive meal in history. Since there's only one Jane Seymour diamond, it goes without saying that the dinner will be a one-time-only event – now I'm just wondering about how much the tip will be.